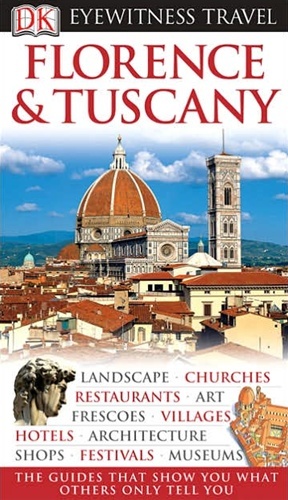 "Eyewitness Travel: Florence & Tuscany"
There is something for just about everyone in Florence and Tuscany. From viewing some of the world's greatest Renaissance art to wandering around designer boutiques. Discover a whole new side of Florence and Tuscany with the Eyewitness Travel Guide. This guide will give you practical information without any hassle. All of the important towns and other places to visit are described individually. Within each town or city, there is detailed information on important buildings and other sites. Make the most of your trip with the Eyewitness Travel Guide.